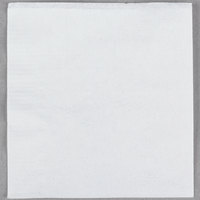 Prevent water marks on your bar and serve beverages with this Choice 2-ply white beverage / cocktail napkin. 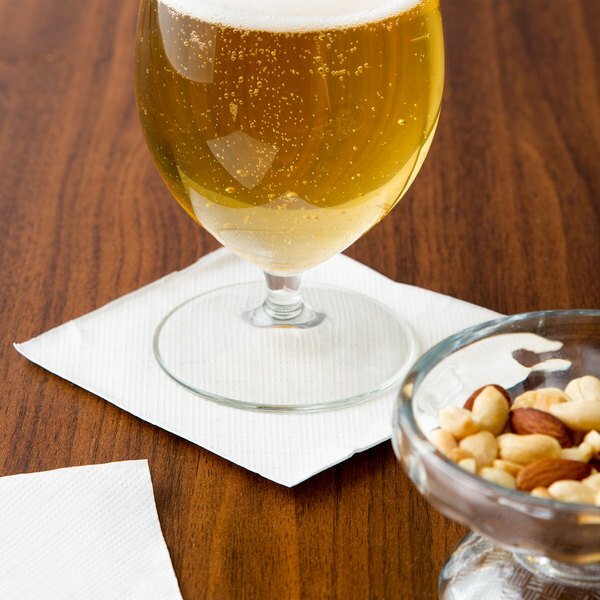 Add this dependable beverage napkin to your catering business's portable bar, restaurant, cafe, and other business for a great value without compromising quality. 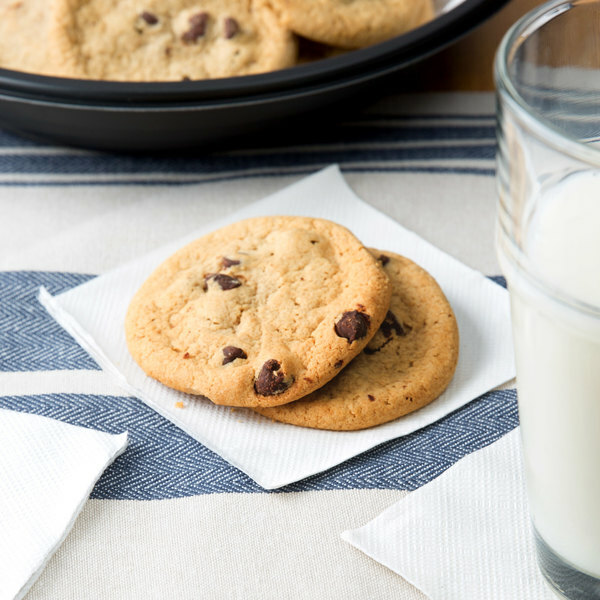 This versatile napkin also serves as an economical alternative to small plates, as it's great for snacks, desserts, and hors d'oeuvres at your catered event or private party! "Excellent beverage napkin, one goes out with every cocktail. These are very nice and are worthy of a catering display, good quality for the money." Thanks to its pure white color, the various hues of your vibrant mixed drinks and garnishes pop! You cannot go wrong with this universal color, as it complements any setting. 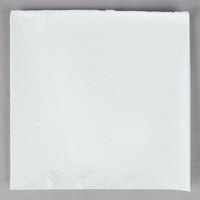 Unlike other standard 2-ply napkins, this Choice napkin features an elegant, embossed design on one side. This detailing accents your beverageware for a stylish look. This napkin's petite size is perfect for cocktails and other functions, where using larger dinner napkins is simply wasteful! 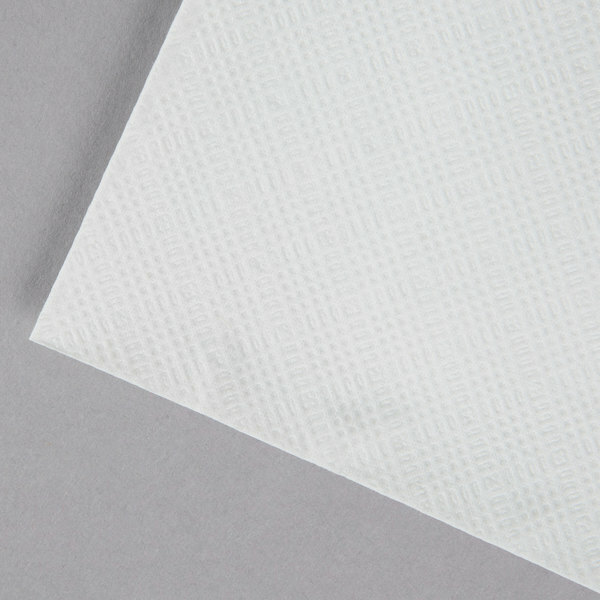 Plus, the absorbent 2-ply design keeps moisture on the napkin and off your countertops and it's soft to use. Choice is dedicated to providing you with catering supplies, paper and disposable supplies, small kitchen hand tools, and serving solutions at the best possible prices. 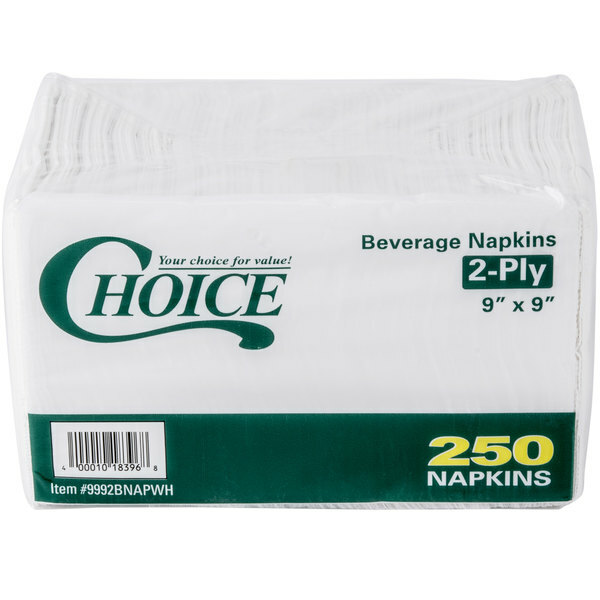 Whether you are looking for a strong and durable utility cart or inexpensive dispenser napkins, Choice has just what you need at a price you can afford! Very pleased with these napkins! Do not look cheap at all. They will look great on my sweet table and wine table. They are durable and soft. These are okay, but fall apart very quickly. Choice is usually a great option - we use them for our dinner napkins. But, this product failed to deliver to standards we have come to expect. Looking for an alternative product now. Thank you for your review, Jim! We are sorry this Choice 2-Ply White Beverage / Cocktail Napkin - 3000/Case has not worked well for you. A Customer Solutions Representative will contact you soon! These are good napkins to have around for family gatherings or parties with friends. They are the perfect size for drinks or even for appetizers. Nice basic cocktail napkin. Great quality and thickness for the price. 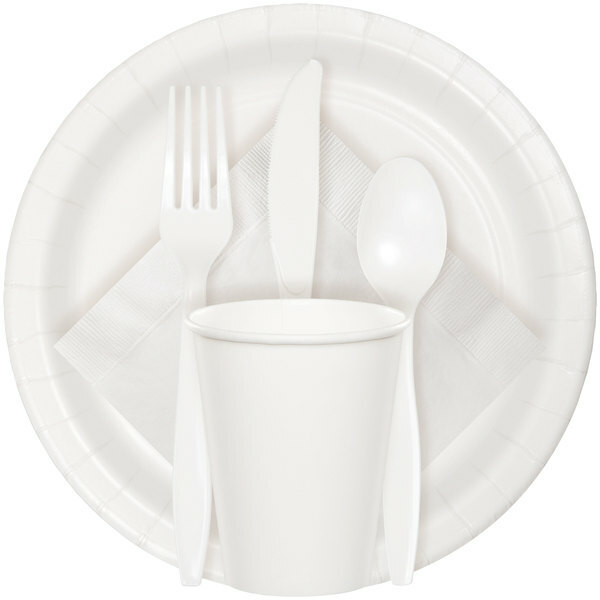 Useful for beverages or small napkins for cake servings. Packaged nicely - so many other comes crumpled when purchasing economy napkins. Perfect little cocktail napkin for our tasting room. For the low price we can use these on all our drinks. Throw a little salt on them, and no sticking to the condensation. Great quality. Easy to use and store. Appropriate for all serving and catering needs. Highly recommended. We use it for our servings in the store. We use these for our Popup Coffee Bar and so far have no complaints. They are great for muffins and cupcakes as well as coffee cups. Resist buying the bigger napkins, they are a thing of the past, these feel great and are more modern and presentable. Very good quality napkin. Just the right size to hand out to our customers. We also use them occasionally for ourselves. Very economical for the quality. these are great and the case price really helps us save on the those little expenses here and there. they are perfect for our apps and for bar station use. Beverage naps are a necessary evil. So glad we switched to these. Great quality, and almost half the price of the beverage napkins we have purchased for years from our local distributor. This is a very nice napkin that can used when needed. They come in a pack of 50, which is a nice size for small to medium parties. these napkins are great for parties or events. they pair great with drinks but you can use them for anything. they are pretty durable and absorbing. Great choice for beverage napkins to be used with appetizer or cocktail hour. This product is heavier duty allowing to be used as a napkin for apps as well as at the bar for cocktails. Comes in plastic wrapped packages within the case so easily separated and set up for different events and bars without having to take out of plastic until ready to use. Perhaps I did not read the information on these napkins but they were not the quality that I expected. Very thin and lightweight. I ended up purchasing other napkins for our event. Thank you for the review Karen. We’re sorry this has not worked well for you. 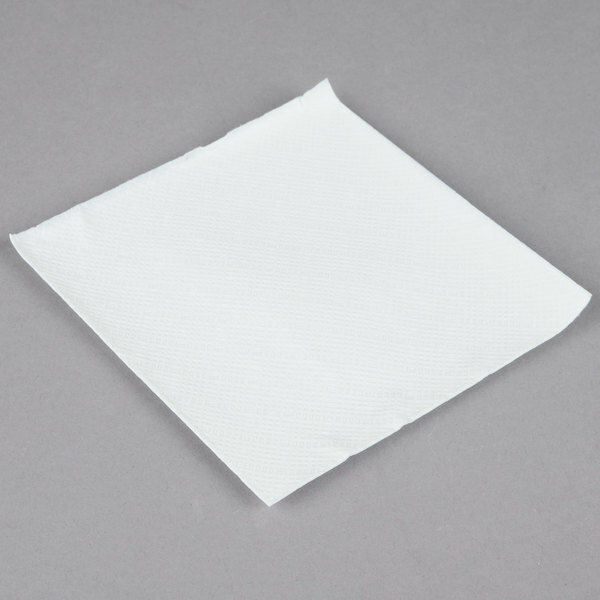 For an alternative that might better meet your needs, try this Creative Converting 57000B White 3-Ply Beverage Napkin instead! These are decent quality for the price. If you just need a beverage or cocktail napkin these would be fine. Would recommend something more durable for meals or messy children! I was tempted to spend twice as much on the Hoffmaster like linen napkins but I'm so glad I got these instead. They are fabulous napkins, super soft and don't leave lint all over guests laps. We used these for our wedding which we served BBQ ribs and they held up perfectly with out each guest needing a stack of them. One suggestion to shoppers, buy in bulk! You will get rid of your normal go to napkins and use these all the time. These napkins are so soft! They feel very luxurious for the small price that they cost. They certainly don't feel like cheap napkins, they feel like the very nice fancy kind of napkins. I also love that the case comes with individually wrapped packs of napkins so that they are easy to store at the bar and I don't have to worry about them getting a little wet since they are wrapped in plastic. Exactly what I wanted for a price point that is unbeatable. I needed cocktail napkins for my wedding so these will be perfect. I wish they came in a smaller size as I don't need all 3000 but it's still great for the price.